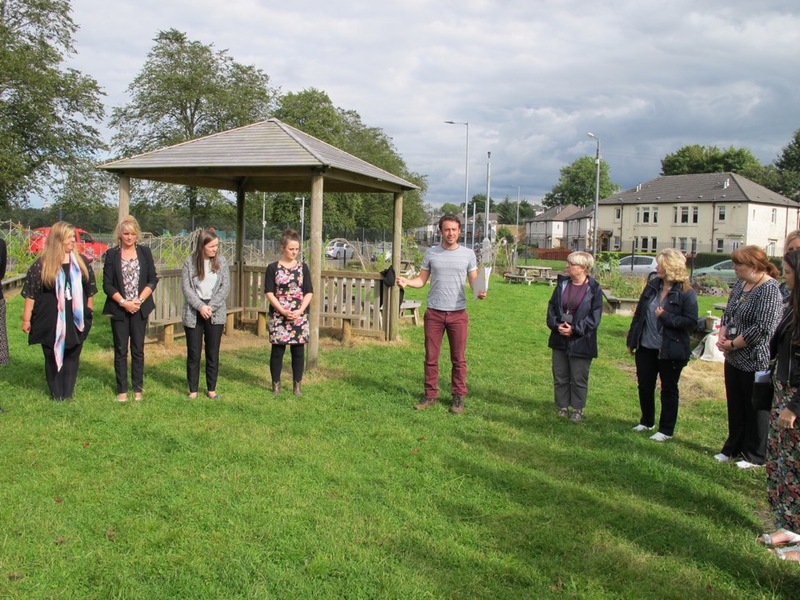 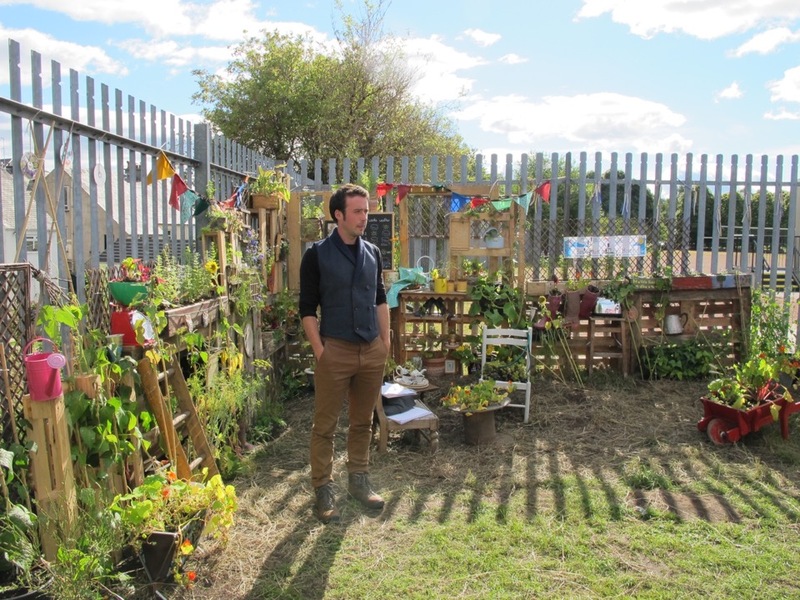 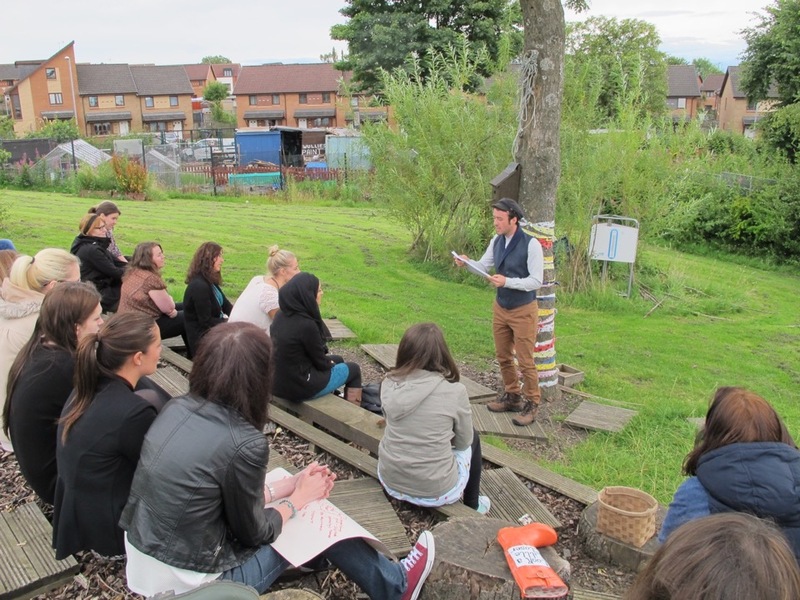 During 2015, Drama Artist Ben Mali Macfadyen collaborated with teachers and pupils in 4 partner schools across Glasgow to explore the role of Drama and Storytelling within Outdoor Learning in a project called Out to Play. 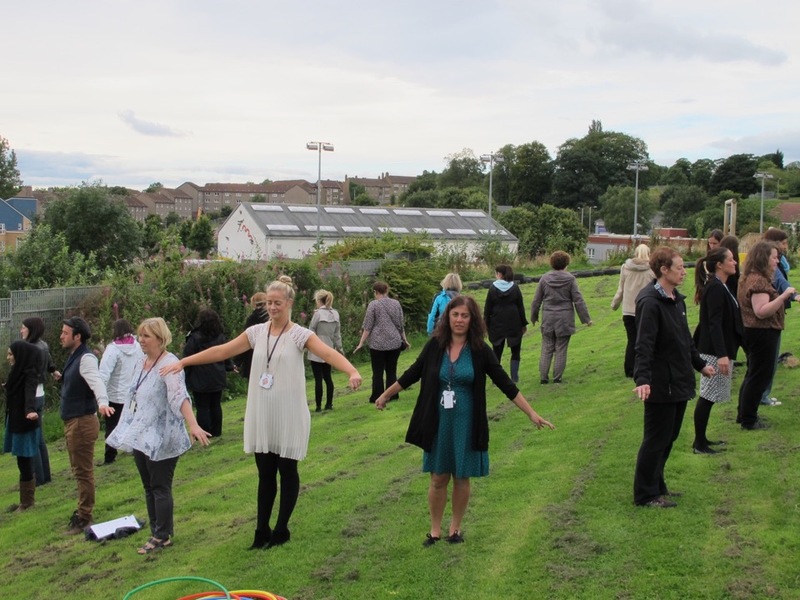 Over 13 weeks, 283 Pupils took part in creative outdoor learning sessions, with Teachers having the opportunity to co-lead sessions with the Drama Artist and lead their own sessions, utilizing new skills in combining drama & storytelling with outdoor learning. 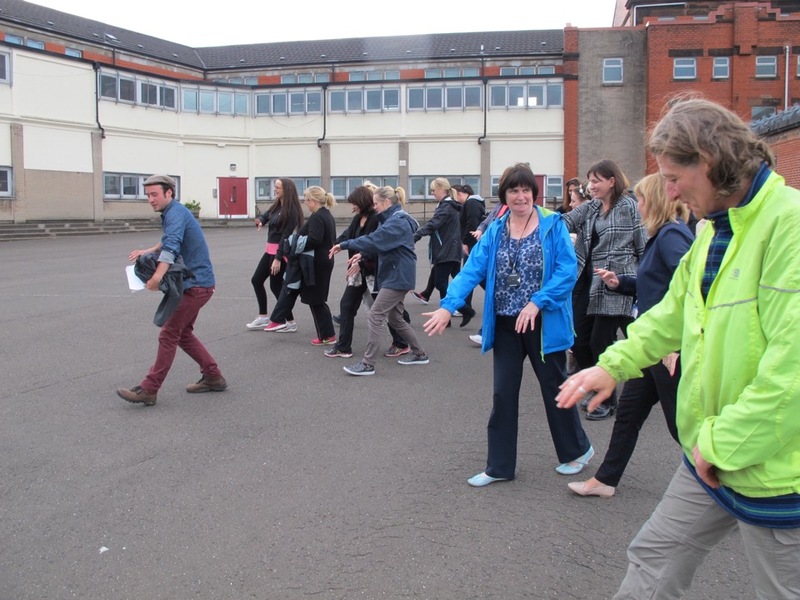 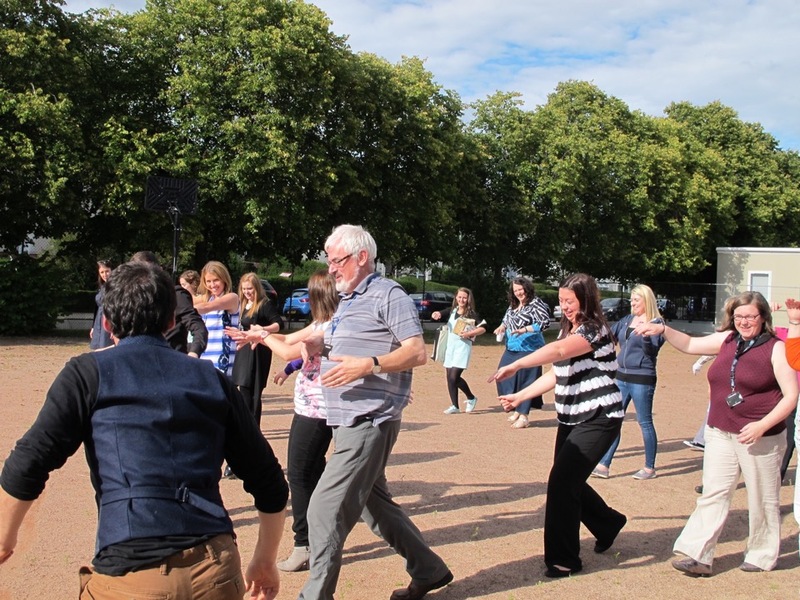 At the end of the residencies, CPD Workshops were delivered to the wider community of primary school teachers in Glasgow, sharing best practice and offering ideas and creative learning techniques on embedding drama and storytelling within outdoor learning. 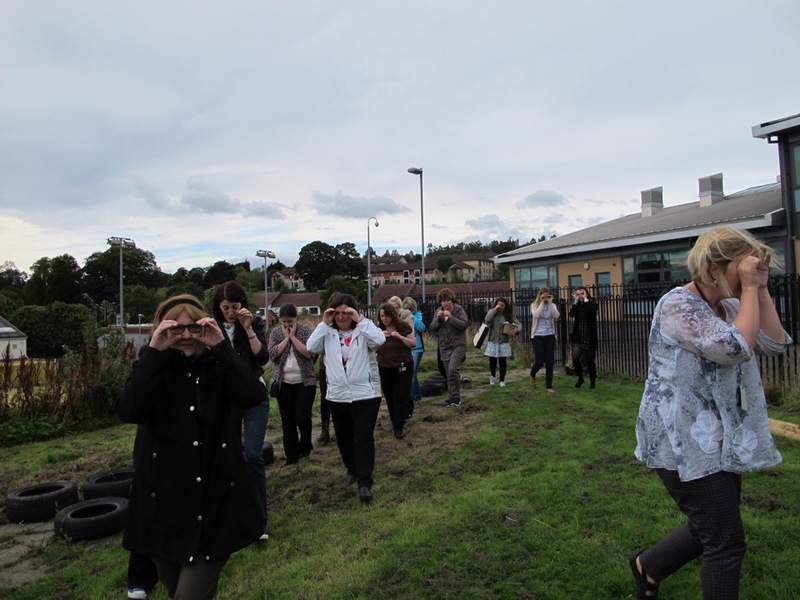 93 enthusiastic primary teachers from across 33 Glasgow Primary Schools took part, using their imaginations to explore playgrounds, play games and listen to some special storytelling. 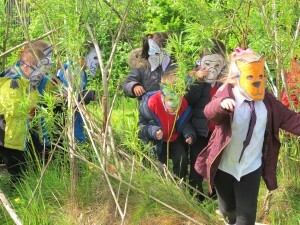 Due to the success of these CPD sessions, and as part of our full scale Out to Play project 2017-2021, Eco Drama are now offering Out to Play CPD Workshops to schools across Scotland. 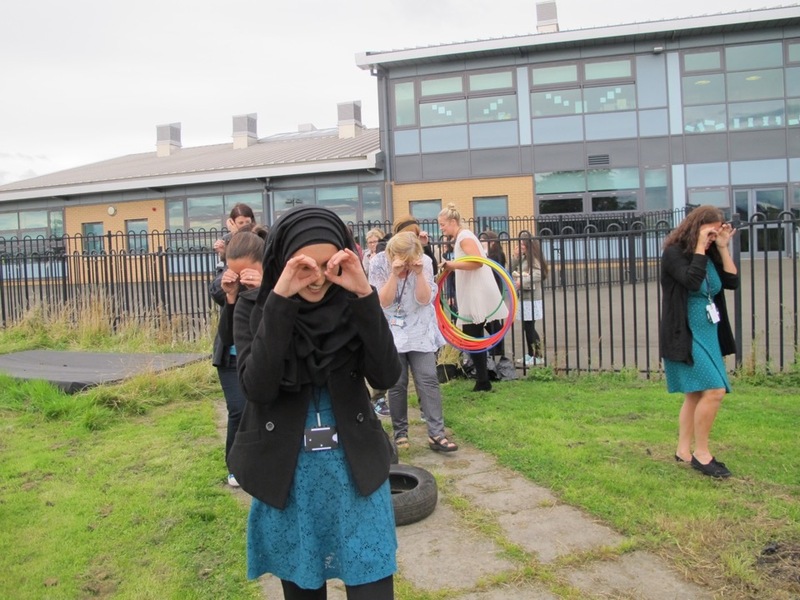 During the 2 hour session, teachers will explore how to integrate outdoor learning into the school curriculum and how to utilise creative learning methods such as drama, storytelling, song and movement in order to engage learners with the natural environment. 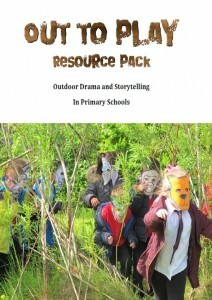 Participating teachers will also leave with their very own Out to Play Outdoor Learning Resource Pack. 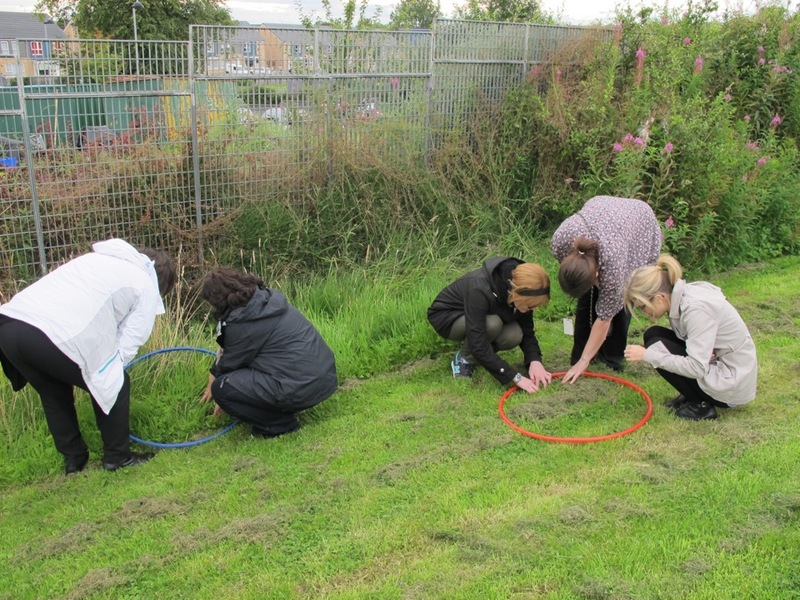 To enquire about up and coming dates in your area, or to book an Out to Play CPD Workshop for all teachers delivered at your school, please contact us to discuss your requirements. 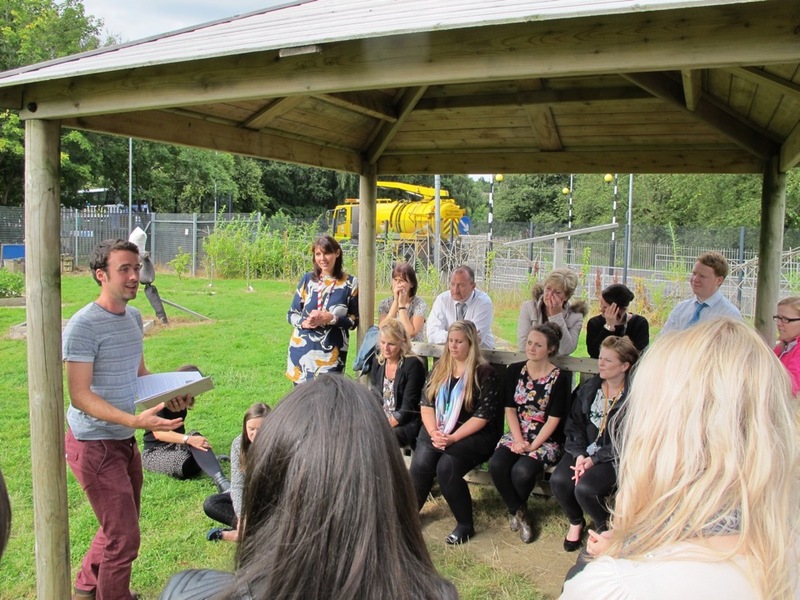 Suitability: Primary School Teachers from any level. 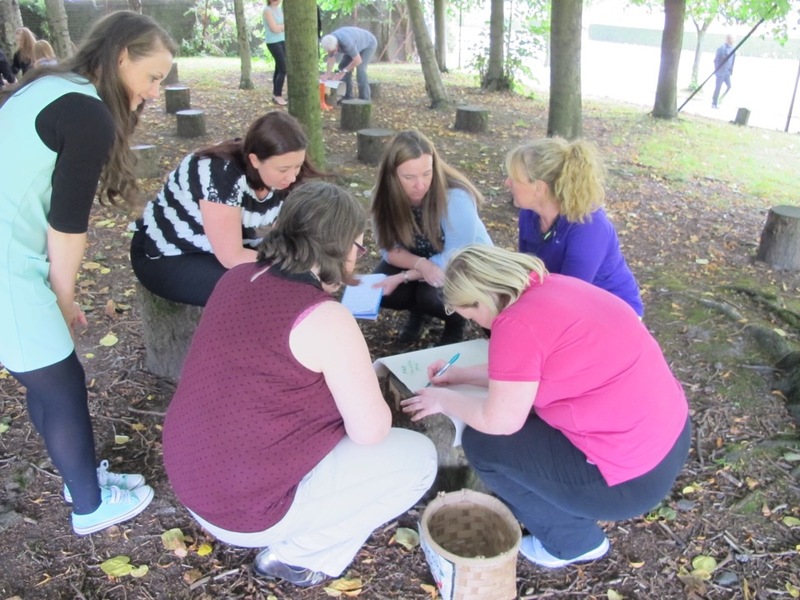 Please note that an Early Years Out to Play CPD will be available for Nursery Leaders from autumn 2018. 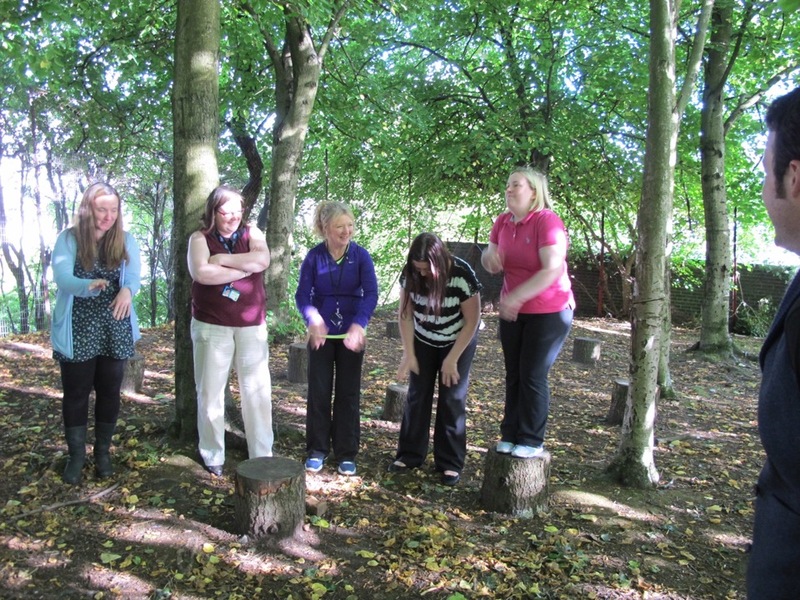 Running time: 2 hours. 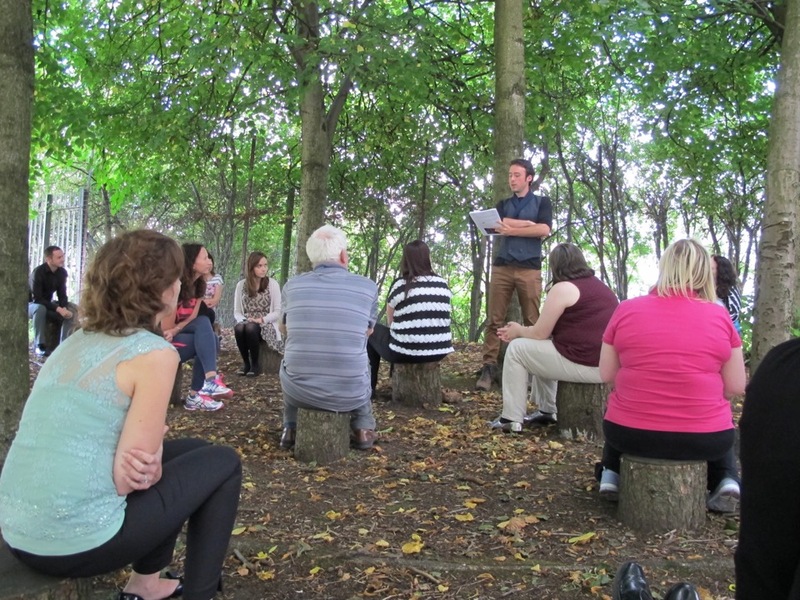 The session can be delivered during the school day or as a twilight session after school. 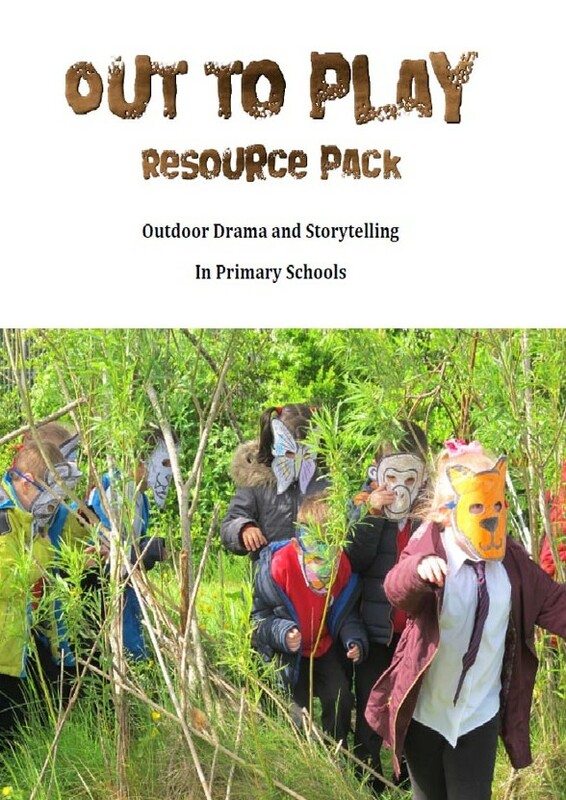 Resources: Out to Play Resource Pack provided.